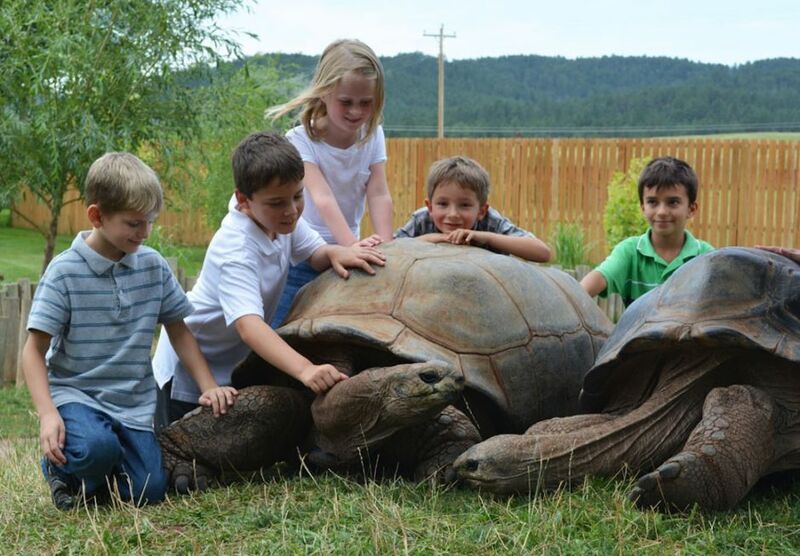 A family getaway to Rapid City, South Dakota, is the type of vacation that leads to digging up dino bones and geodes. To finding Cinderella’s carriage. To meeting giant lizards and seeing water flow upside down and contemplating the history of national monuments. With its spot right on the edge of the Black Hills, the city and surrounding area is an outdoor playground, especially in the summer and fall months. Check out these super kid-friendly (and, for the most part, wallet-friendly) destinations in and around Rapid City. When you’re in Rapid City — especially during the warmer months — your first stop should be Main Street Square. It’s in the heart of downtown, and on any given Thursday night or weekend you’ll likely run into a festival, market, live music…or all three. It’s good for the day-to-day, too, with a fountain for the kids to run through, a grassy area for picnicking, and an ice skating rink bigger than the one at Rockefeller Center (November through February). During the summer, Thursdays on the Square features a variety of events and live bands, and on Monday evenings you can bring a blanket/chair to enjoy (free!) Movies Under the Stars. While you’re downtown, stop by Firehouse Brewing Company. It’s located in a historic firehouse, and the kids will definitely tell you that lunch tastes better when you’re wearing your own firefighter helmet. Once you’ve fueled up, go on the scavenger hunt that is the City of Presidents — 43 sculptures of past U.S. Presidents are scattered around downtown, and the kids will no doubt be challenging you to guess who’s who. Storybook Island puts the playgrounds of your childhood to absolute shame. 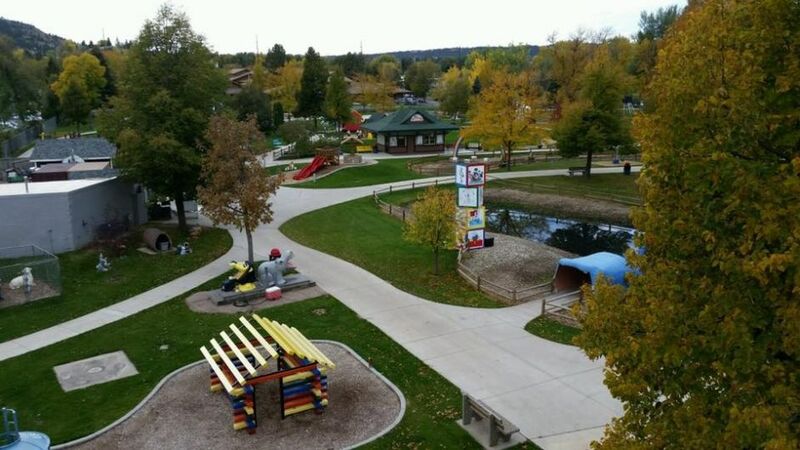 More than 100 playsets dominate the 8.5 acres of the “island,” and the kiddos will recognize some of their favorite characters in each: Cinderella, the Cat in the Hat, Snow White and the Seven Dwarfs, and 90-some more. The best part is they’ll actually step into the story by climbing Winnie the Pooh’s treehouse, visiting the houses of the Three Little Pigs, and taking a seat in Yogi Bear’s picnic basket. The park is open every day (9am to 7pm) from Memorial Day weekend to Labor Day weekend. Admission is free, though there are a few activities — like the bounce house and the Storybook Island Train — that charge a small fee. Concessions are available in case little appetites are worked up zooming down slides, conquering castles, and steering pirate ships. The best view in all of Rapid City is from the top of the hill at Dinosaur Park — you can see for miles and miles as you stand at the crest of the sandstone ridge, Black Hills rising to the west, the plains spilling to the east. Decades ago, remains of dinosaurs from the late Jurassic and early Cretaceous periods were found along this very ridge. Hike up the hill, and you’ll see giant dinosaur statues commemorating the event. The park, another free attraction, has been around since the 1930s, but the huge replica T-rex, Apatosaurus, and Stegosaurus are still fun for kids of all ages. If you’re heading south on Highway 16 (otherwise known as the road to Mount Rushmore), make plans to stop at Bear Country USA, a wildlife park unlike any you’ve visited. On the three-mile park drive, you’ll see bears (black and grizzly) as well as reindeer, elk, buffalo, pronghorns, big horn sheep, timber wolves, and mountain lions. Yeah. South Dakota doesn’t mess around. Rules are important here. Windows on vehicles must stay up at all times, and there is absolutely no feeding any animals — even though they certainly won’t be shy about walking right up to your car. There’s also an area where you’re able to safely step out of the car and view some of the young (like playful baby bears!) and smaller animals. 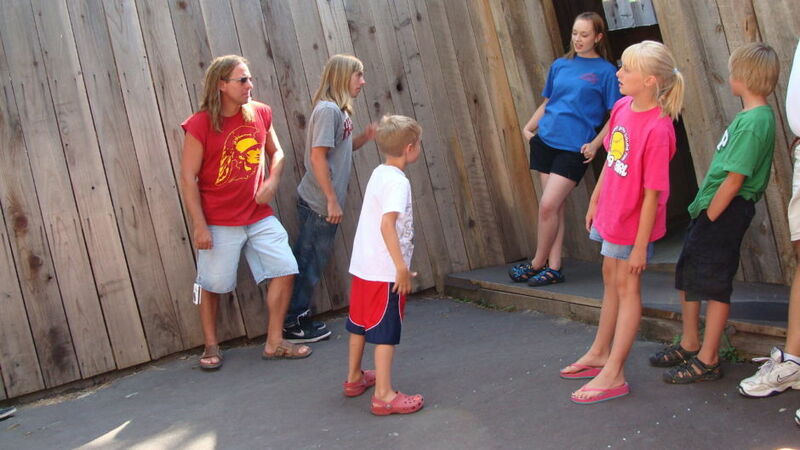 While you’re on Highway 16, make another pit stop at Reptile Gardens. Here, you’ll find the largest collection of reptiles on the planet (as attested to by the 2014 Guinness Book of World Records), and you’ll be able to get up close and personal with many of them (fear not, they keep the venomous ones contained). Check out the shows, too — there’s a snake exhibition to introduce you to the prairie rattlesnake and the Asian cobra, a gator show that’s out-of-this-world, and the giant tortoises are always a crowd favorite. Bonus: Though they’re not exactly reptiles (okay, not at all), don’t miss the chance to head underground in the Prairie Dog Town to see how these cute critters burrow and play. When you visit Cosmos Mystery Area, you can toss the laws of physics and logic out the window. This quirky tourist spot in the Black Hills offers some mind-boggling experiences, like standing on walls and seeing water run uphill. Take the tour of the Mystery House — where everything is at its most bizarre — and leave time for a dig in the Geode Cracking Station, too (yep, any found are yours to break and keep). Just an hour south of Rapid City, the Mammoth Site is a must-stop for anyone who’s fascinated by animals, history, geology, archaeology, the inexplicable — you name it. It’s also a great spot to visit any time of year, as it’s an indoor, climate-controlled paleontological dig site. Literally — you’ll walk around the giant rocky hole stopping at numbered guideposts, each marking a notable spot in the dig. Scientists, volunteers, and visitors excavate fossil bones at the site. 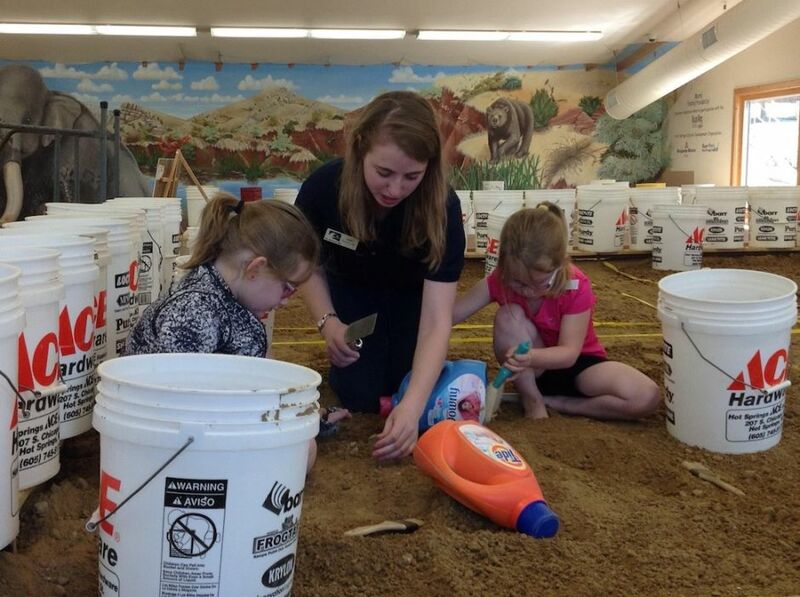 And if you make a reservation in advance, your kiddos could participate in the one-hour Jr. Paleontologist program (an additional $11) and do a little digging themselves. There’s no need for reservations for the guided tour, where you’ll hear about the mammoths, camels, wolves, and bears that were trapped in the giant sinkhole that created the site. Don’t forget to check out the life-size mammoth replica in the exhibit hall — though it’s hard to miss. No trip to Rapid City would be complete without a stop to say hi to George Washington, Thomas Jefferson, Theodore Roosevelt, and Abraham Lincoln. Seeing Mount Rushmore lit up at night is super memorable, so if you can make one of the lighting ceremonies, do so. But don’t just stare up at the pretty faces and snap photos. Take a hike on the Presidential Trail (0.6 miles, including some staircases) to get the closest possible view and probably spot some wildlife. Stop into the visitor center to grab an activity book so the kids can become Junior Rangers, and remember to look for your state’s flag on the Avenue of Flags leading up to the carvings. Just around the corner from Mount Rushmore, in Keystone, you’ll find Rushmore Tramway Adventures. It’s fitting that you’ve spent all this time looking at the Black Hills, because now it’s time to fly through them — on a zipline tour. You can also challenge your sense of adventure in the aerial park, an obstacle course suspended in the trees, or just take to the air vacation-style on the scenic chairlift. 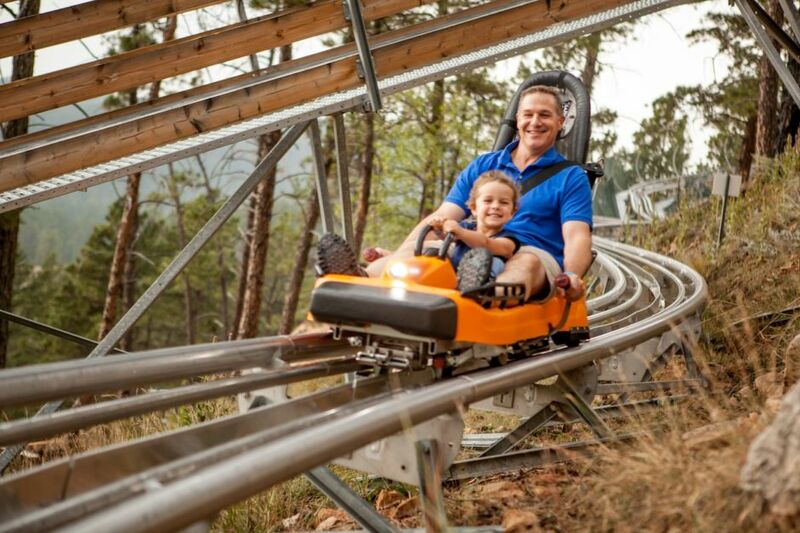 When it’s time to head down the mountain, skip the chair ride and dash down the 2,000-foot high-speed alpine slide. Gotta end the adventure on a high note and all. 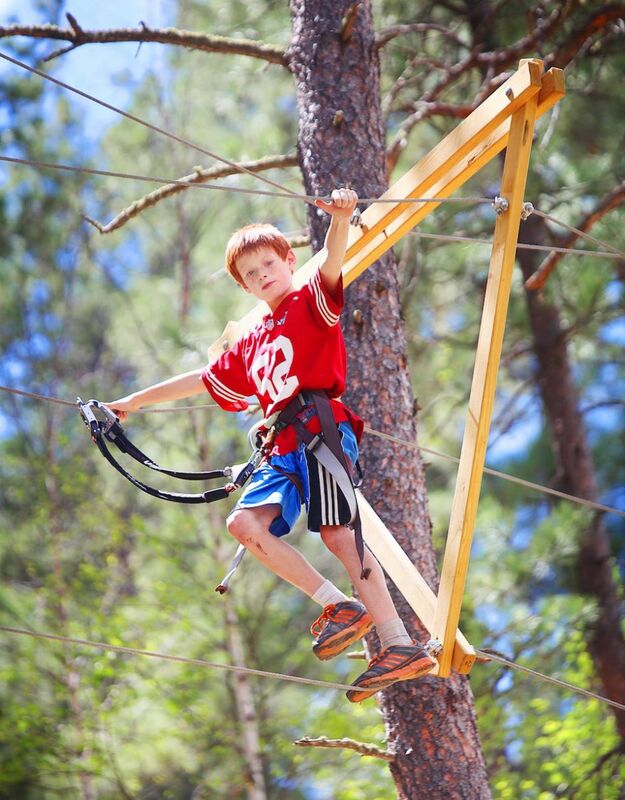 Pro tip: Each activity at Rushmore Tramway Adventures has its own cost and there are some packages you can purchase when you arrive, but if you plan to do the zipline tour, you’ll want to make a reservation in advance. The name of the 1880 Train in Hill City isn’t just for fun. This vintage, steam-powered train is a great way to immerse the whole family in the history of the Black Hills. The two-hour train trip (20 miles round trip to Keystone and back) takes place on original track laid in the 1800s, making the Black Hills Railroad the oldest continuously running railroad in the country. The trip is narrated, and along the way you’ll see old mining encampments and get views of Black Elk Peak, the highest point east of the Rockies. The 1880 Train takes to the tracks at the beginning of May and runs daily through the summer season, though it does make a few holiday trips toward the end of the year. There are both enclosed and open train cars, so you can decide what kind of riding experience you’d like. Reservations are encouraged if not required, and tickets must be picked up in advance of boarding the train. Put on your helmet and headlamp and head nearly 4,000 feet underground for a one-hour guided tour of Rushmore Cave. In this cavern in particular (South Dakota has plenty), the stalactites and stalagmites are spectacular. Be prepared to stoop low and to hike up a fair amount of stairs (nothing the kids can’t handle), and keep in mind that the cave is consistently 58°F and a bit damp. Layers and proper walking shoes are encouraged. After you emerge from the depths, hop on the Mountain Coaster, a wild downhill ride that tops out at 30mph. Going from scrunched up in a cave to zooming through the air makes for an awesome change of pace. Spearfish Canyon is around 45 minutes to the northwest of Rapid City, but totally worth your time. The drive itself into the canyon is full of twists and turns and feels reminiscent of driving through a national park. Several waterfalls dot (or splash) the route: You’ll be able to see Bridal Veil Falls from the road; Spearfish Falls is tucked away in an unexpected spot, but just follow the marked trails; and Roughlock Falls requires the longest hike (two miles round trip), but the reward matches the effort. Try to plan your visit in late spring or early summer to catch the falls flow at their mightiest — though seeing them frozen can be pretty incredible, too. It’s another great (and free!) way to get in touch with nature, with the conveniences of Rapid City not too far back down the highway.